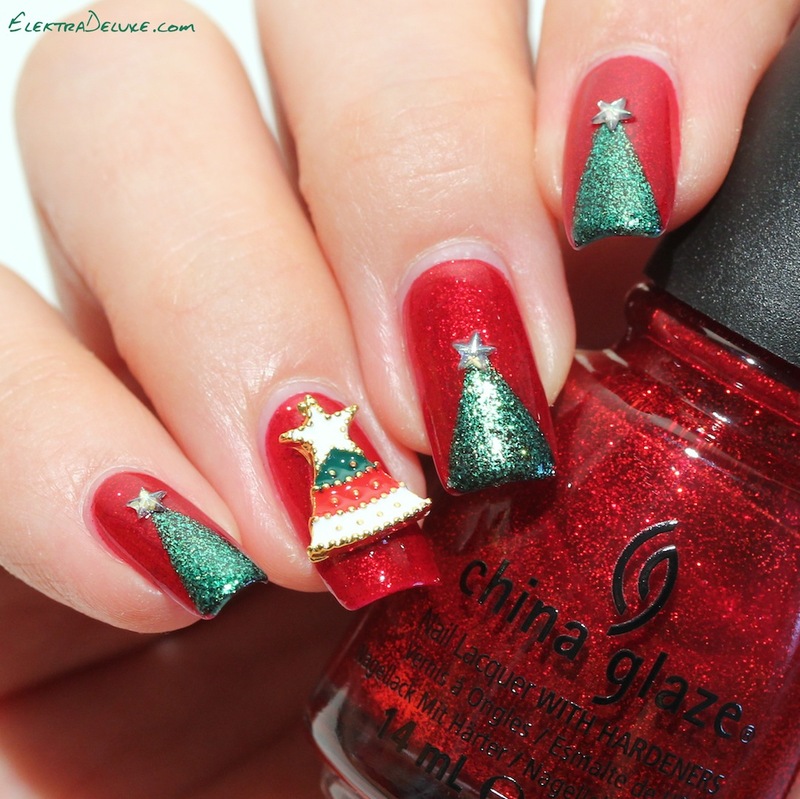 I started out with 3 coats of China Glaze Ruby Pumps which can be considered a timeless classic for the holidays! After it had dried thoroughly I applied pieces of tape in order to get clean lines for my trees. 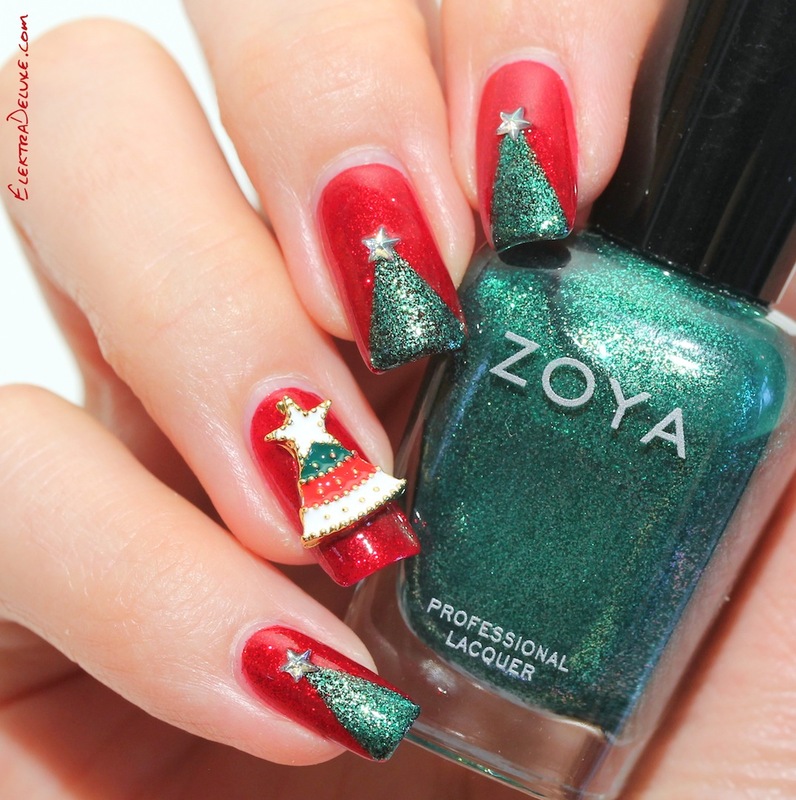 I painted the trees with Zoya Ivanka, a green glass fleck polish (and another holiday classic!). I placed tiny stars on top of the trees. 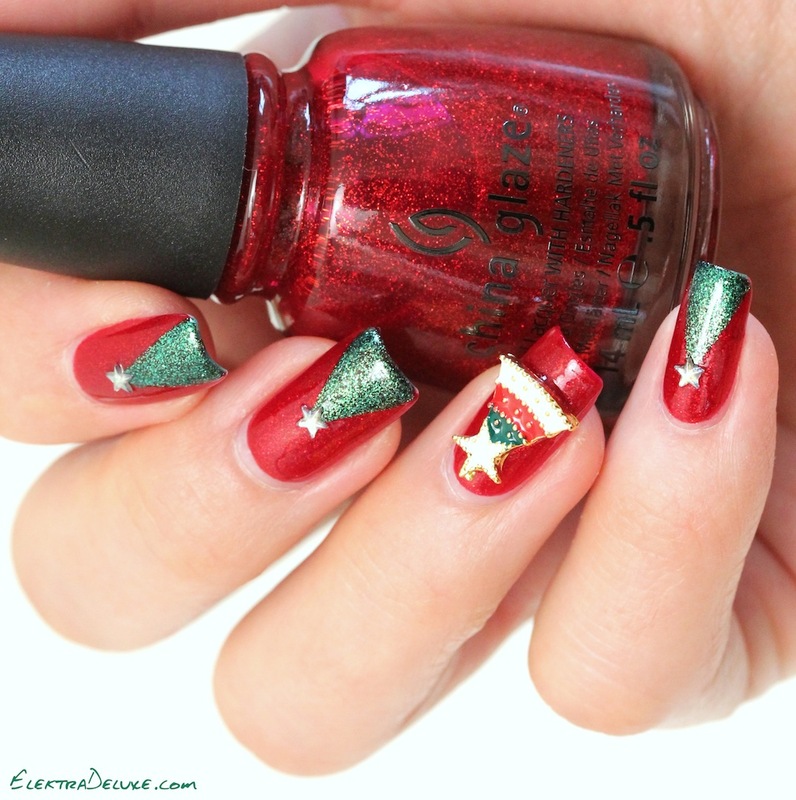 On my ring finger I skipped the green polish and used a nail art decoration in the shape of a Christmas tree instead. I just placed it in a wet coat of clear polish and it adhered quite well. 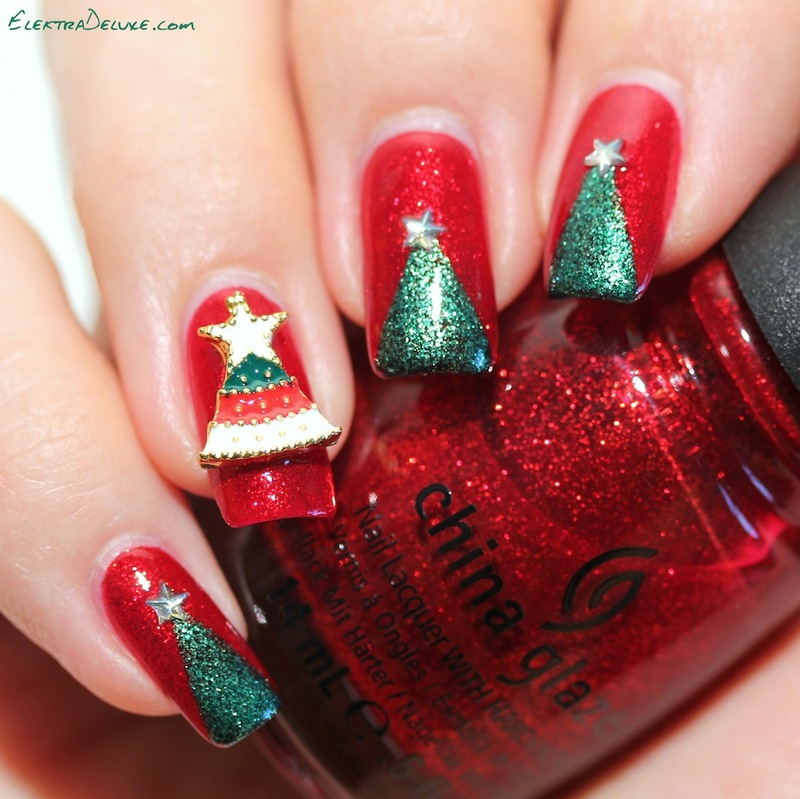 Both the little stars and the tree embellishment are from Born Pretty Store. 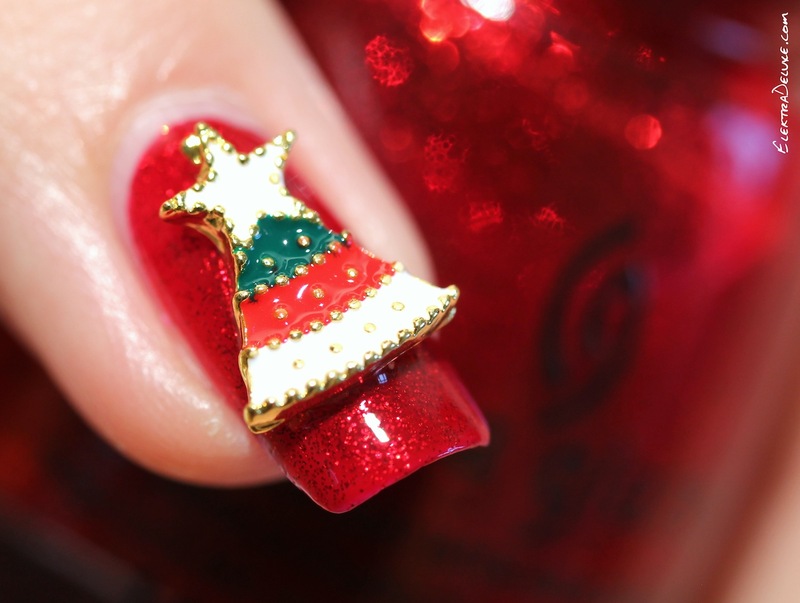 The little tree from Born Pretty Store comes in a set of 10 mixed 3D nail art decorations. Besides the tree the set also contains a snow flake, candy cane, a bell and several other items. Very cute! You can use my discount code ELEH10 to get 10% off on your entire order on www.bornprettystore.com! What’s on your nails right now? Let me know in the comments!